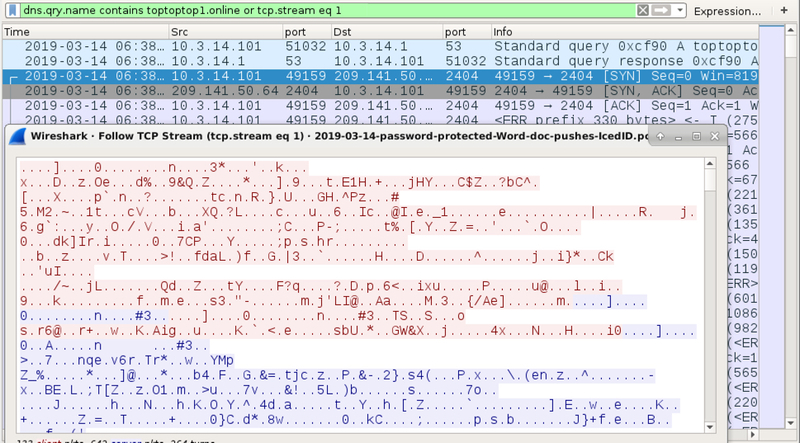 Shown above: Password-protected Word doc from malspam. 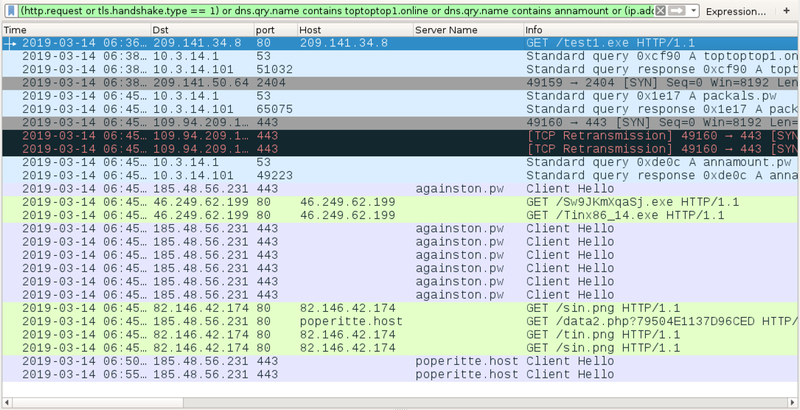 Shown above: Encoded traffic caused by the initial malware EXE over TCP port 2404. 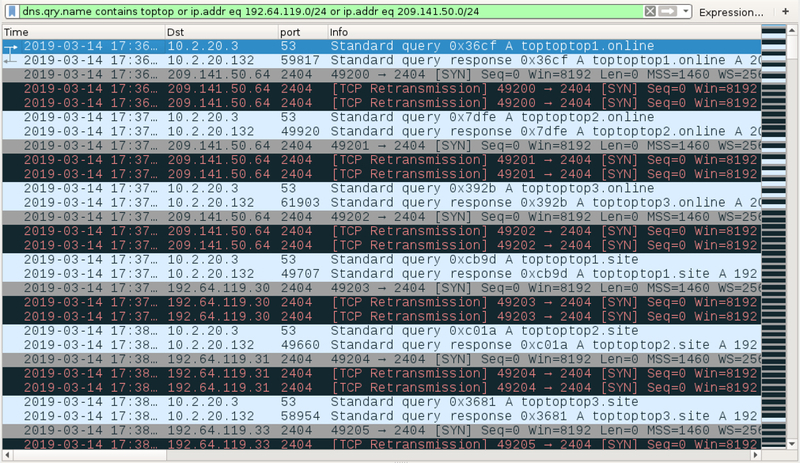 Shown above: DNS queries noted when the initial malware EXE was executed on the infected Windows host during a later run. 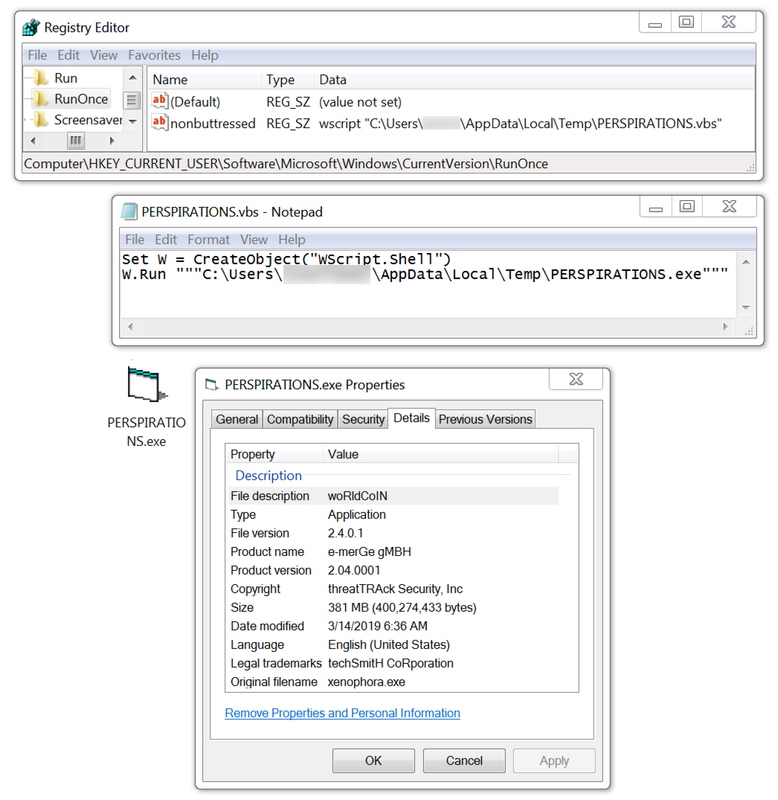 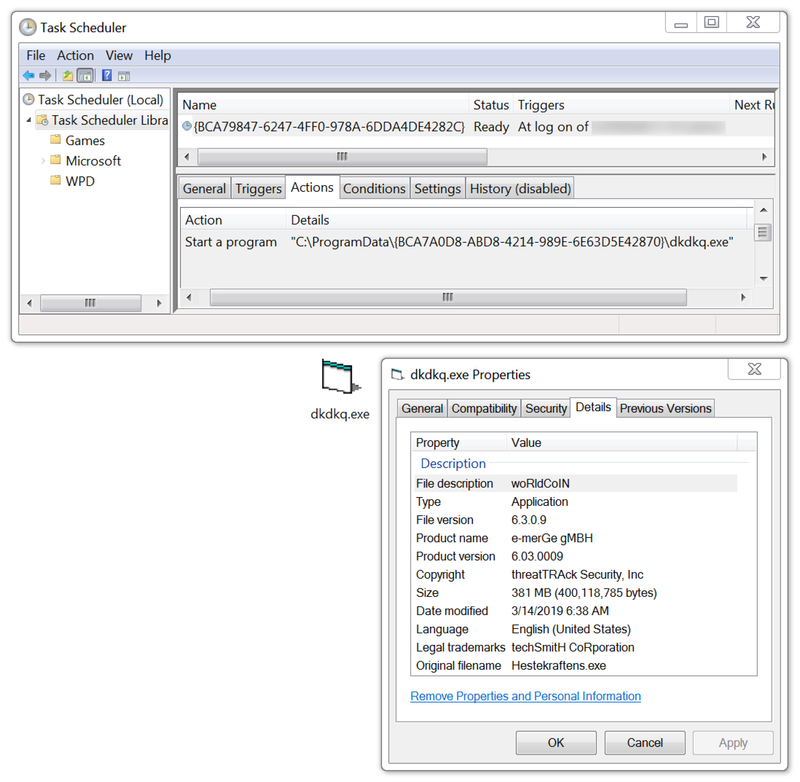 Shown above: Initial malware persistent on the infected Windows host. 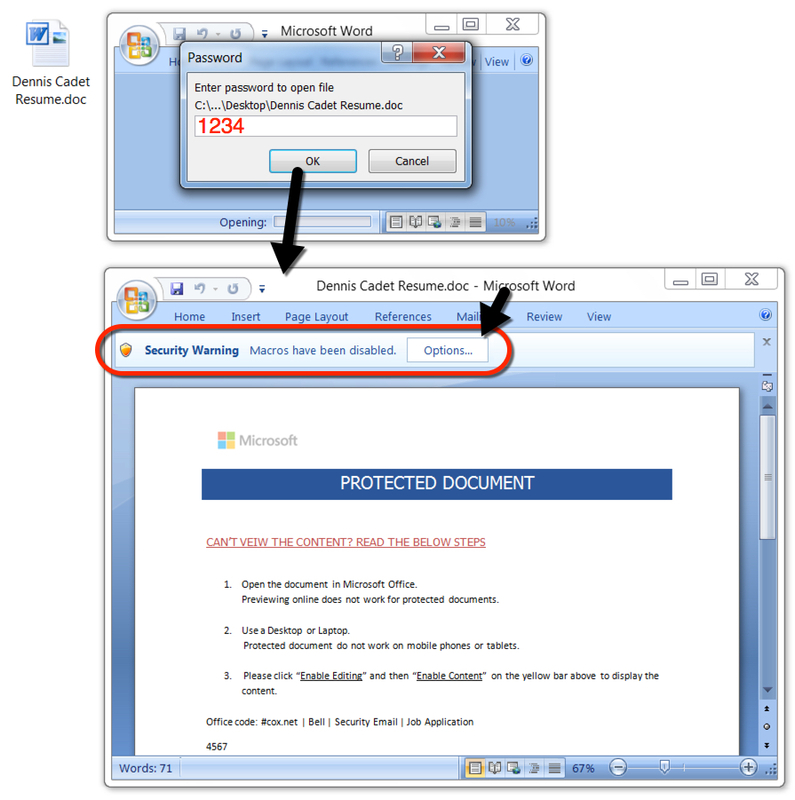 Shown above: IcedID (Bokbot) persistent on the infected Windows host.